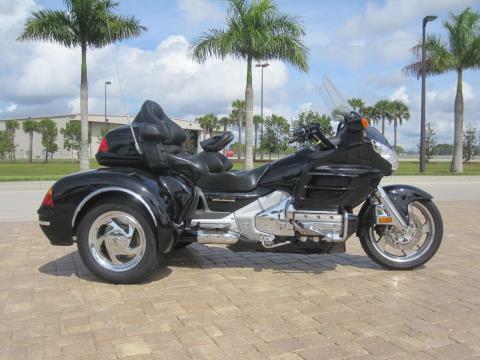 Haus of Trikes & Bikes is one of the largest combined trike and bike dealer in Florida. With over 20 years of experience, we have been proudly servicing Fort Myers, Florida with the best motorsport vehicles. You will find that we carry a broad selection of used and new motorcycles for sale including brands like Harley-Davidson and Indian as well as metric brands like Honda, Suzuki, Yamaha, Kawasaki and many more. Haus of Trikes & Bikes is proud to bring you the world’s oldest manufacturing brand, as the only authorized Royal Enfield dealership in southwest, Florida. Haus of Trikes & Bikes is a dealer and installer for California Sidecar, Hannigan, Motor Trike and Roadsmith Trike Kits for sale. All kits can come with independent rear suspension and reverse with factory trained technicians to take care of all of your motorcycle and trike needs. Additionally, we do offer rentals of trikes & bikes which is a great way to try out a bike without truly committing to it. Or are you looking for a ride to your next bike week? No Problem, come down to the showroom and check out our rental service offering a large variety of motorcycles and trikes for rent. Our extensive parts department has everything a motorsport enthusiast are looking for. From OEM replacement parts, custom parts and used parts for motorcycles to new helmets, leather vests, jackets, shirts and many more accessories. We are located in Fort Myers, Florida and have customers come visits with us from all over Florida, including Miami, Tampa, Orlando up to Jacksonville. Stop by and have a chat with us about your motorcycle or trike. Please note that we do take certain bikes in on consignment.